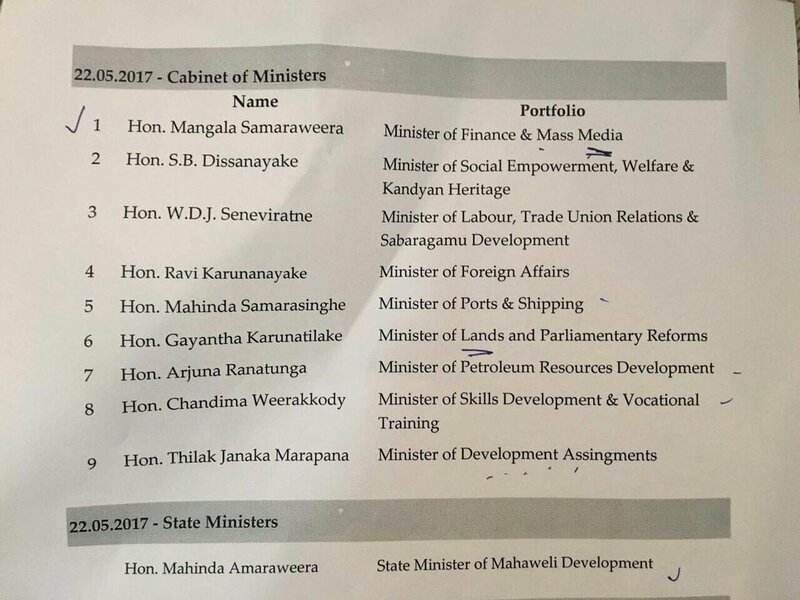 According to the cabinet reshuffle scheduled for today already 9 ministers and a state minister have been sworn in say reports. Accordingly, Messrs. Mangala Samaraweera, S. B. Dissanayaka, John Seneviratna, Ravi Karunanayaka, Mahinda Samarasinghe, Gayantha Karunathilleke, Arjuna Ranatunga, Chandima Weerakkody and Thilak Marapana have been sworn in. Also, Mr. Mahinda Amaraweera has been sworn in as a new state minister.